UPDATE 10/1/14. 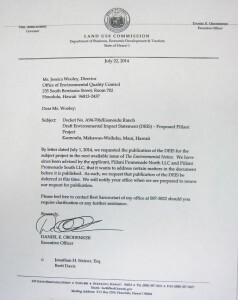 As advertised (below) we have submitted our comments on the Draft EIS and submitted to all the proper recipients in a seventeen page document seehttp://gokihei.org/wp-content/uploads/PiilaniPromDraftEISesponseV2b.pdf . Now we all wait.. So what caused the developer to make such a request of the very document that they submitted? Was it because of the comments submitted to the State agencies by KCA and others? 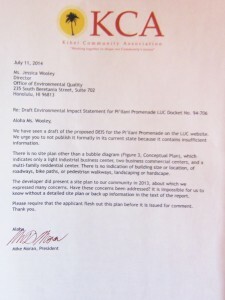 If you note the comment offered here by Charlie Jencks regarding his removal of the fabric from the fence erected years ago in anticipation of impending construction of the Pi’ilani Promenade, before the State Land Use Commission (LUC) stopped it awaiting return to their regulating body by the land owners/developers, we offer some graphic of the result. NextHow Many Cats are in your Neighborhood? What Happened to the Tree? 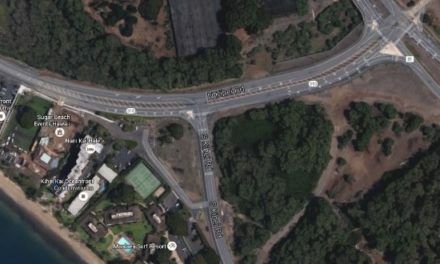 What are they doing now on this North Kihei Corner of much Concern? 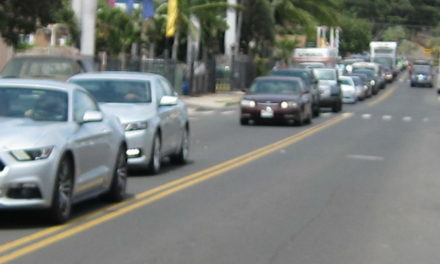 Charlie Jencks, owner’s representative for the Piilani Promenade project in Kihei, has announced the removal of the fabric portion of the project’s construction dust fence to prepare for expected strong winds associated with the approach of Hurricane Iselle, which is expected to come on land Thursday night and through Friday as a Tropical Storm with sustained winds of 40 mph. “While we cannot be sure of the exact path of the storm, we are taking this precautionary approach to ensure that the community and those using Piilani Highway are safe during the bad weather,” Jencks said. 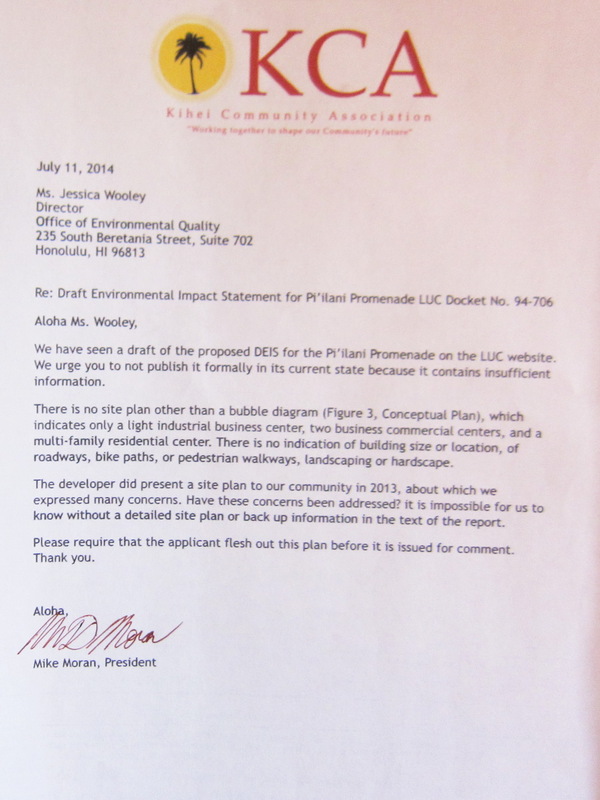 (Kihei, HI)— Piilani Promenade Partners is requesting comments on their Draft Environmental Impact Statement (Draft EIS). 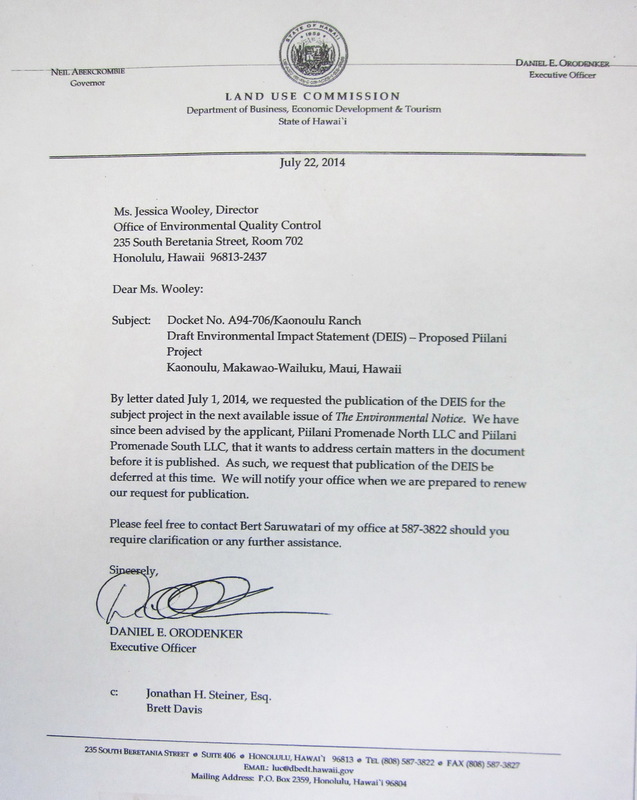 The Office of Environmental Quality Control published the document for public review and comment on August 23, 2014. The public comment period ends on October 7. In a unique expansion of the comment process, Piilani Partners will host “Talk Story” sessions with selected commenters holding various views (pro and con) to learn more about their comments and possible strategies to address their concerns. Announcing the talk story sessions, Charlie Jencks, owner’s representative said, “The opportunity for people to expand upon their comments continues our efforts at community outreach as we develop our scaled-back mixed-use light industrial, retail and housing project makai of the Piilani Highway. Jencks encouraged the public to comment on the draft EIS. “Public participation is key to good planning strategy,” he said. The Department of Business, Economic Development & Tourism, Land Use Commission, P.O. Box 2359, Honolulu 96804-2359. Chris Hart & Partners Inc., 115 N. Market Street, Wailuku, Wailuku 96793. Piilani Promenade North LLC and Piilani Promenade South LLC, c/o Sarofim Realty Advisors, 8115 Preston Road, Suite 400, Dallas, Texas 75225.